Social media has given rise to the age of the consumer. The fact that anyone can now give feedback online, either through social networks, review websites or blogs means that brands are no longer in direct control of their reputations. That’s what makes the passionate brand advocate your number-one marketing asset. These are the people who will happily recommend your company to friends and colleagues and do much of the marketing legwork for you. With banner blindness on the rise, people are far more likely to choose who they do business with based on a recommendation from a trusted authority. For software companies, brand advocacy is even more important. Unlike their B2C cousins, B2B customers rarely make snap purchase decisions or act on impulse. They’re looking for mission-critical solutions that their own businesses will come to rely on every day. That’s why trust is everything. There’s minimal room for error, and if your reputation is anything but perfect, you’ll have difficulty building credibility in front of your prospects. To achieve an outstanding reputation, you need a community of brand advocates – or more accurately in the case of technology or software – developer advocates and technology evangelists. These advocates are typically highly satisfied customers that will promote your brand without any incentive to do so. For a typical enterprise software firm, customers spend an average of $300,000. An advocate acts as a brand multiplier, boosting customer lifetime value to $1.2 million dollars as they refer an average of four customers each. Online communities serve a variety of purposes, including self-serve customer and technical support, a space for testing and feedback, or even as a watercooler where your customers get together and share a common interest. 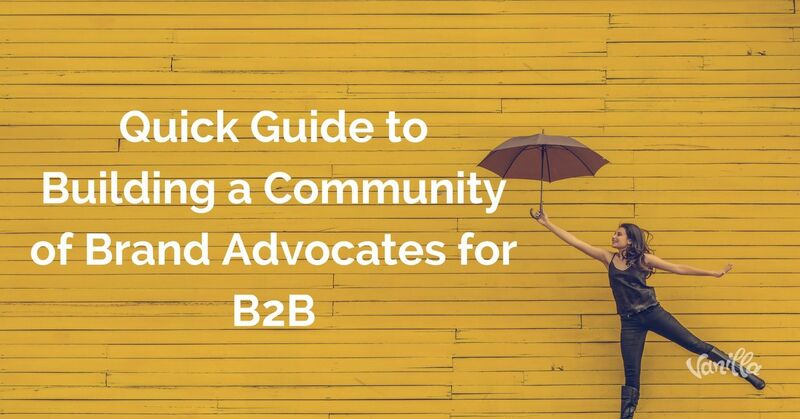 The best B2B communities provide all of these features. They go far beyond the limited functionality of a peer-to-peer knowledge base to become thriving virtual hangouts that help foster lasting relationships between your brand and its customers. These days, relationships are everything for the B2B technology sector – particularly given its recent shift towards subscription models. From a customer’s perspective, it’s no longer about making a purchase and being done with it; it’s about being a part of something. That’s why you must stop thinking of your company as a vendor, and think of it instead as a technology partner – one which builds loyalty with trust and ongoing support. The goal of any successful community strategy is to build stronger relationships with your customers. You’ll want to break down this broader goal to ensure that your efforts align with your corporate objectives. This will help you find the optimal approach for engaging your advocates instead of wandering blindly into the process. For example, if your primary corporate objective is to increase your customer base, then your primary advocacy goal maybe to improve the quality of referrals. To give another example, your current business goal may be to improve your product, in which case you’ll want to empower your customers by giving them the opportunity to provide feedback and perhaps even gain exclusive access to products that are under development. In another case, your goal may be to boost customer support, thereby increasing trust and fostering the growth of a community of loyal advocates. With a thorough understanding of your goals and the purpose of your community, you’ll have what it takes to maintain focus. As a tech company provider, chances are your target audience consists of influential business decision makers. They’re busy professionals who like to keep organized and maintain a rigid focus on the task at hand. They’ll look to your community for solutions to their problems and advice from other customers (and your employees) on how to get more out of their purchases. In fact, 72% of customers prefer to use self-service support than working directly with the support team. The above represents something of a baseline; a general rule to use as a foundation for building the right community structure and using a tone that’s suitable for your target audience. 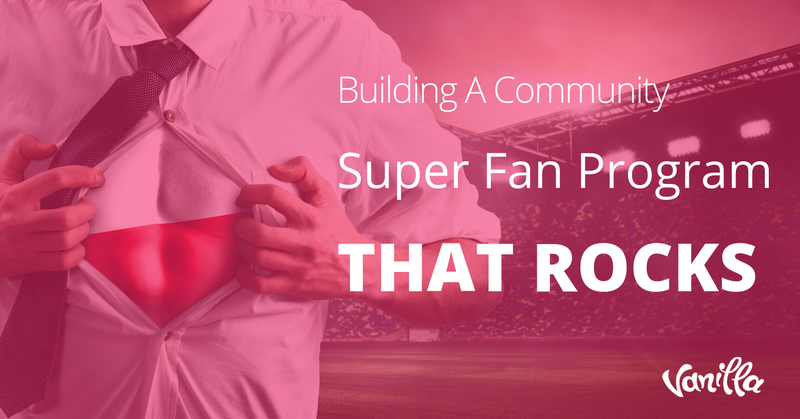 An owned community is one of the most effective ways to get to know your customers better. Provided you’re closely and consistently involved in community-building efforts, it will continuously improve – and that means your brand advocates will grow exponentially in number. Laying down a few house rules is essential in any community, particularly when trust and professionalism are so important. This is certainly the case with B2B technology groups. It’s often assumed that trolls and other online troublemakers belong to the realm of video gaming and consumer-oriented markets, but that’s not the case. There’s also the problem of spam, which tirelessly permeates every online community. You need to have tools and policies in place from the outset to ensure your forums don’t end up attracting the wrong types. An abandoned community, where the rules are no longer enforced, will fast become a liability that will detract significantly from your reputation. Successful B2B tech communities are places of constructive and professional conversation. For example, instead of spending their working hours trying to solve trivial IT problems that are not part of their job descriptions, employees may turn to your community forum for an immediate solution. If, however, they’re faced with page after page of junk posts and unrelated content, they’ll quickly turn elsewhere. In an industry where your clients are counting on you for prompt and effective support, there’s simply no space for junk content and bad behavior. If you’re looking for ways to combat spam in your forum, check out these spam-busters ! 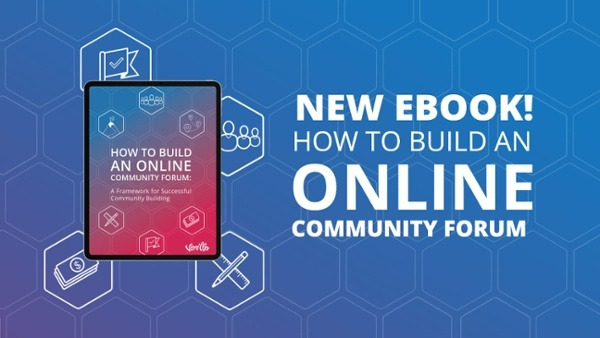 Aside from the obvious rules that govern any healthy online community, you’ll also want to make it clear that people should keep the forums focused and relevant. Your goal is to encourage members to post constructive and relevant content in the right threads and forums. Gating your community, or at least parts of it, helps create a sense of exclusivity while encouraging higher quality and more relevant content. For example, you may have private forums for users of a specific product or service tier. Most online communities also have a more general forum – a virtual ‘watercooler’ – where members chat about other subjects that aren’t immediately related to their work or the products and services they use. Unsurprisingly, these forums tend to be the ones that attract less desirable behavior. As such, you may want to discourage people from discussing controversial subjects, even in your watercooler. For the most part, establishing house rules and policies is a matter of common sense. The bigger challenge is articulating your guidelines in a suitable manner that everyone will understand and feel obliged to follow. Remember, you’re dealing with an audience that consists of professionals, not children. As such, you want to avoid coming across as patronizing. Add a human element as much as possible and use the opportunity to introduce your community managers, moderators and coordinators. And remember, although you’re targeting a professional audience, that doesn’t mean you need to descend into legal jargon presented in a vast wall of text. Keep the human connection strong. Don’t forget that your house rules and guidelines exist not just to tell people what to do, but to explain the purpose of your community and provide useful guidelines on how to participate. SaaS and other B2B companies seem to be popping up like mushrooms after a rainstorm, and it’s fair to say that today’s businesses are spoiled for choice. 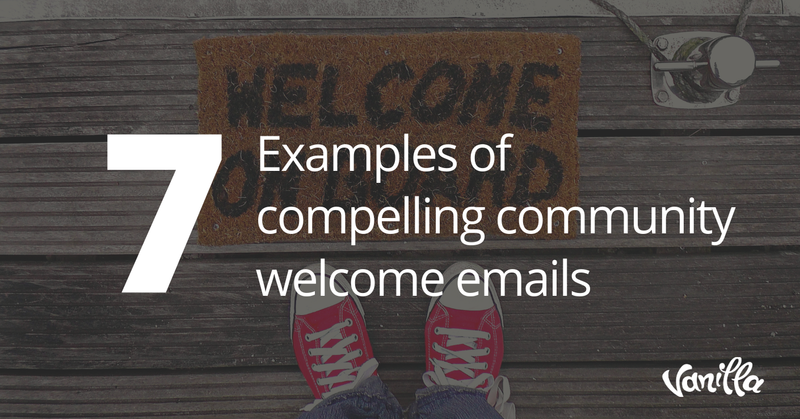 That’s what makes your unique value proposition so important, especially when you express it through your community. Given that your clients rely on you for their own profitability, it mustn't come as a surprise that great customer support and brand advocacy are the two driving factors behind your success as a B2B technology vendor. Your owned online community is where both those things are born. Aside from serving as a go-to resource for peer-to-peer support, it will also form the centerpiece of your advocate marketing program. One thing leads to another, too – support is likely atop client concern. If they turn to your community and find a wealth of useful content to maximize their use of your products and services, they’ll be more likely to advocate for your brand. They’re potentially the clients who will become fiercely protective of your platform and the company behind it. There are specific challenges in building content that meets the information needs of your customers. Not only does your content needs to stay fresh and relevant to your audience, it also needs to be distinctive to differentiate you from your competition. It needs to get to quickly get to the point and answer the questions readers may have when it comes to your products so that they can make an informed choice. All of this can be time-consuming and even more importantly, costly to produce. So, where can you turn to find engaging content that is not going to not going to break the bank to produce? Your community! This is where smart marketers are reaping the benefits of engaging with their customers and taking advantage of user generated content (UGC). User-generated content (UGC), which can consist of blog or forum comments, product reviews, memes and videos, is one of the most effective content marketing tactics —more influential than any other media type according to research. A great example of sending out the call for UGC was from Belkin. They launched a line of customizable iPhone cases and encouraged customers to showcase their case designs on a branded social platform. All the above come down to support and adoption rate. For your product or service to become a recognized industry standard, you need a community where trust and professionalism are the most immediately recognizable characteristics. It all comes down to great content – and to build up a repository of quality community-generated content, you need to reach out to the right people. People become brand advocates for various reasons. Oftentimes, it’s simply down to the fact that they’re delighted with a product or service and the brand behind it. In another example, they may feel obliged to advocate for a brand after being rewarded with recognition for their own community efforts. If you have a loyal customer base already, perhaps all that’s needed to turn them into advocates is to help them get even more out of their purchases. No matter what, everything starts with a community of motivated members. Though moderation will still be necessary on occasion, it’s important to have a forum infrastructure in place that encourages constructive participation. You may, for example, allow people to rate threads and replies so the most highly rated replies go straight to the top of the page, therefore enjoying the most visibility. Replies that aren’t helpful may go to the bottom of the page, while those with a negative rating may be automatically greyed out or flagged for manual review. You’ll find this simple, yet effective, approach implemented on most community forums that prioritize quality content by giving it as much visibility as possible. You can take things a step further by bringing gamification into the mix. This involves using game design elements to motivate people and add a little fun. It may not sound like the most obvious solution in the serious and professional context of a B2B tech community, but done right, it can be extremely effective. For example, the popular developer community Stack Exchange has an extensive gamification system that awards constructive members of the community through recognition badges that appear next to the member’s name whenever they post a thread or reply. There’s also a reputation points system which is tied directly to ranks that award special privileges, such as access to moderator tools, category tag creation tools and more. Humans are naturally competitive and motivated by a sense of achievement, which is what makes gamification so effective. It’s not just about having fun either, it’s also about enabling peer-to-peer moderation. 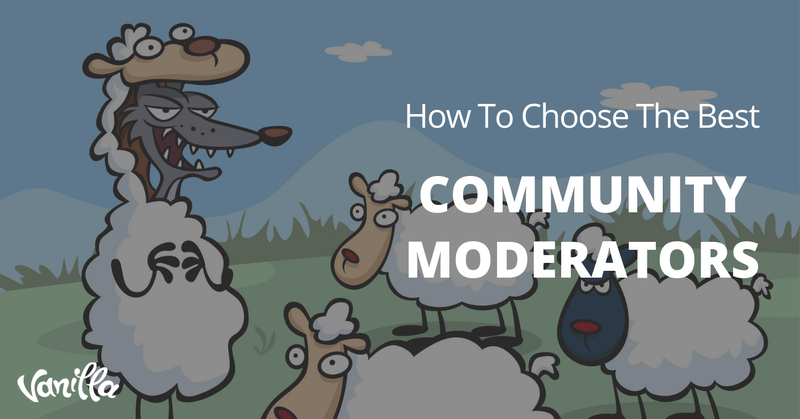 Additionally, it’s about automating the process of keeping your community forums clean while maximizing the visibility of genuinely helpful content. It’s not a replacement for real human interaction, however – and it’s important to remember that no B2B community will ever become successful if there isn’t a consistently high level of involvement from the brand behind it. Remember, advocacy isn’t just between you and your customers. It’s an opportunity for your customers to get to know one another and share challenges, insights and solutions in pursuit of a common goal. You’ll multiply your advocate marketing results by providing a place for everyone to congregate. In time, the strength of these relationships will itself become a reason for customers to remain loyal to your brand – and advocate for it.